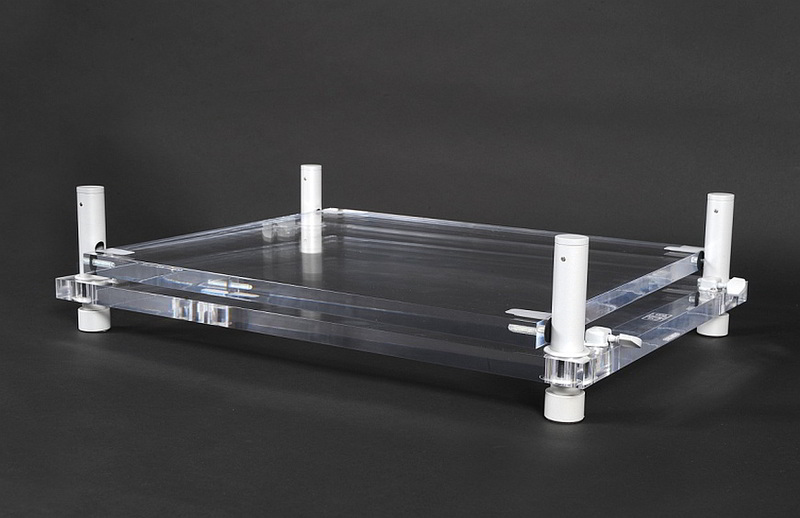 The acrylic platforms − PAB acrylic AVP − have the same dimensions as the basic and SE platforms and similar load capacity. 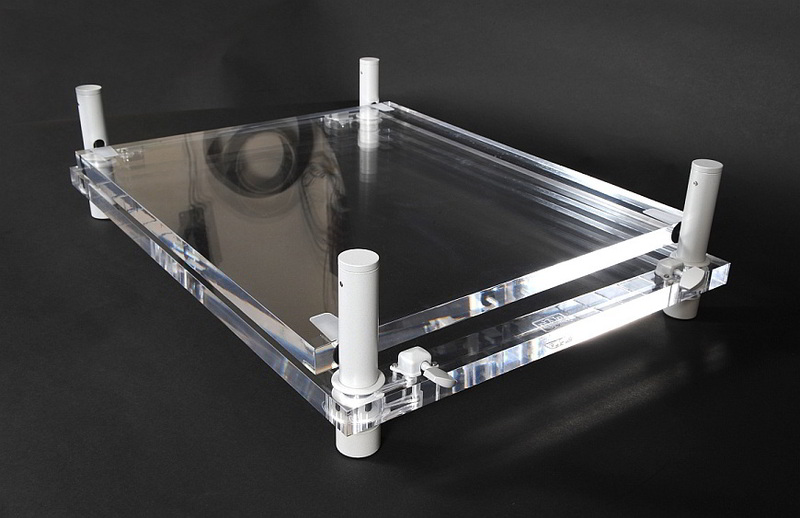 However they have better anti-vibration and sonic capabilities, what is related to the higher density of the acrylic as well as its specific mechanical parameters. Acrylic plates are expensive, this is why platforms made from acrylic cost 2-4 times more as their plywood counterparts. In case of very thick acrylic the high prices are also a result of more difficult handling, especially cutting, milling and polishing. Acrylic is expensive, but it sounds beautifully and composes well with modern materials and furniture in many homes. There are so many different colors and versions, that we can always find one, fitting to a given interior or audio equipment (the acrylic plates are transparent, white, black, red, orange and in other uniform colors, as well as having the texture similar to granite, marble, basalt, wood, etc). 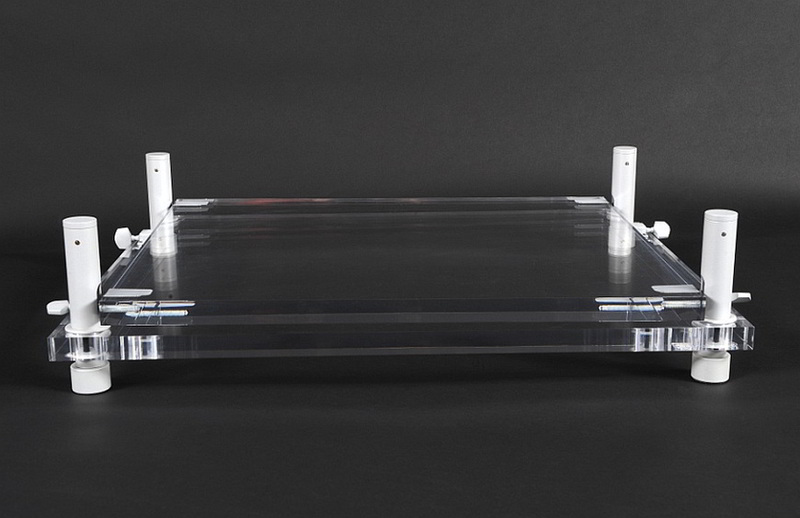 On demand we can made an acrylic platform having any dimensions or shape, using plates 0.8 to 1.6″ thick. 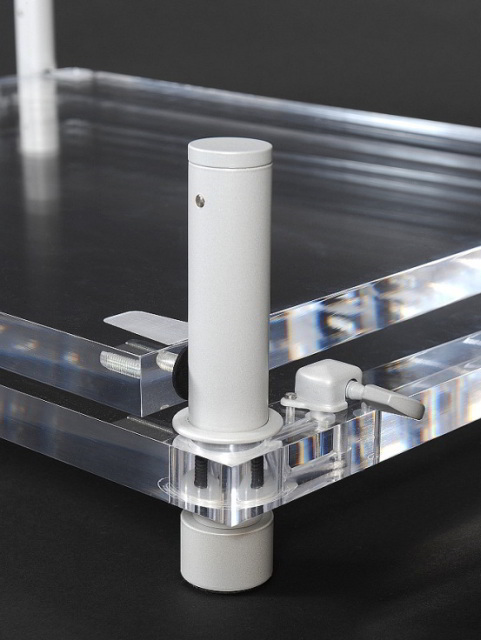 We adjust the metal accessories − sleeves, feet and tensioners − to the color and texture of the acrylic. 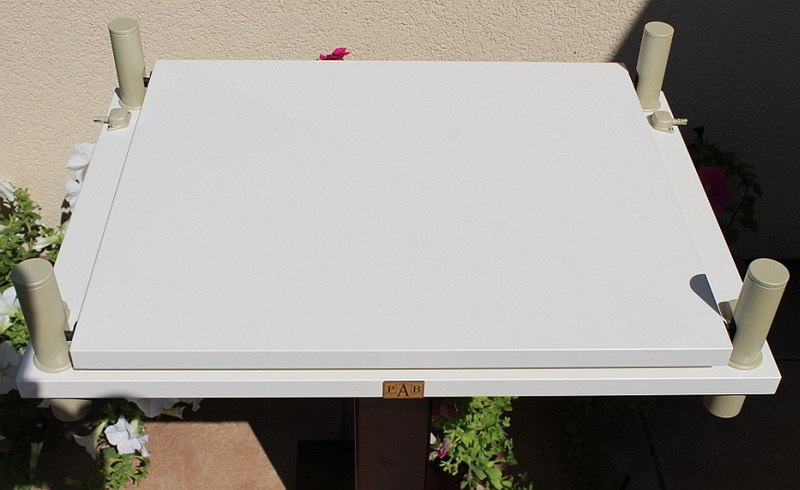 In addition we can engrave any writing, logo or drawing on the surface of the acrylic plate. 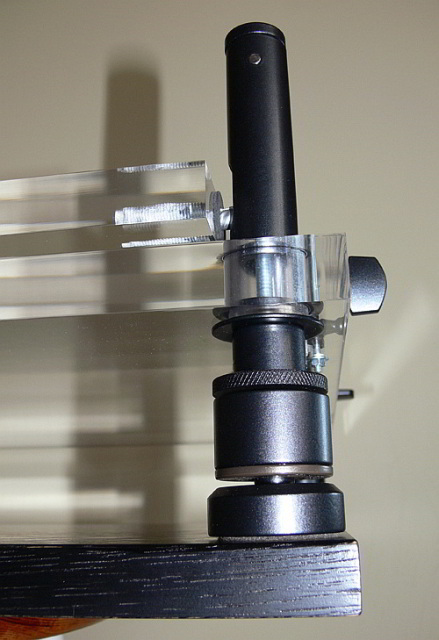 Last few months we are conducting listening sessions of MDF platforms combined with thin acrylic plates. We can already say, that such construction is very promising, sonic wise, and with appropriately selected ball bearing the results are the same as with a normal acrylic platform. 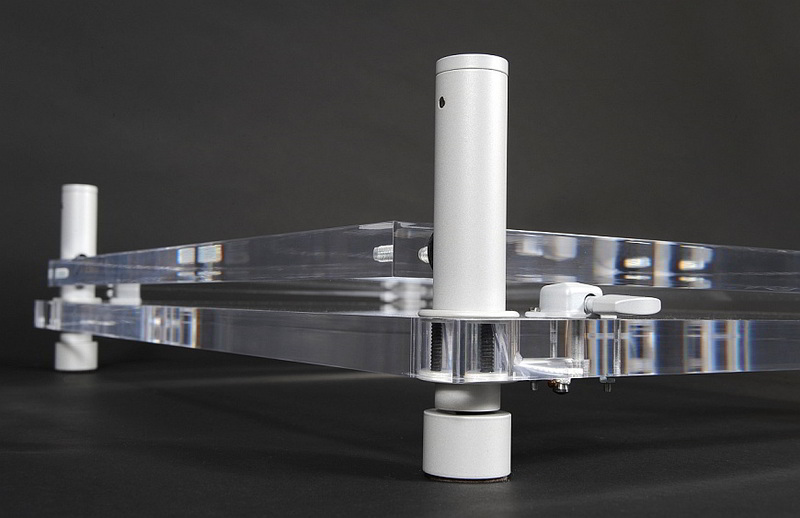 So most probably there will be a MDF-acrylic platform available soon, sonically similar to the full acrylic platform, but much cheaper.